Stand up comedy for your corporate event, office party or birthday bash! Bring the house down at your next event with some hilarious stand up comedy! We specialise in booking top TV talent, bespoke quizzes…and roasting the boss! Who doesn’t love a really good belly laugh? Everyone always comes together over a massive chuckle, giant guffaw, giggling, sniggering…. and the odd bit of cringe. We’ve worked with some fab clients in the past; check out some recent testimonials! Fancy something different for your next Xmas or summer do? Why not let us organise a bespoke stand up show for you and your colleagues? Or maybe even roast your boss! 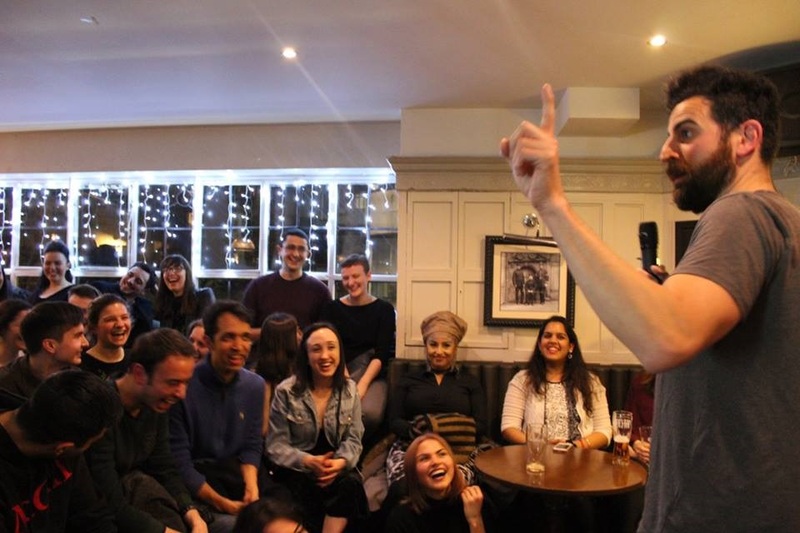 We’ve produced and performed all sorts of specialist comedy shows including social media giants, political parties, global brands and a renowned brewery. All a great laugh! We love nothing better than a birthday knees up. And what better way to let the party person know you love them by hiring in some carefully collated comics for the shindig? Here’s to a big laugh(s) at your next party, event or birthday!